The El Paso County Sheriff’s Office Foundation is led by a volunteer Board of Directors. These area leaders are committed to supporting local law enforcement, dedicating the time and resources to bridging the gap where the annual budget stops and specific project needs begin. 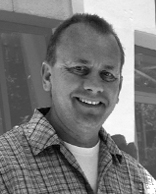 Greg moved to Colorado in 1989 from Indianapolis, Indiana. He established a General Contracting company in 1995, which he successfully owned and managed until 2014. Greg joined the El Paso County Sheriff’s Office (EPSO) as a Volunteer Chaplain in 2002, and then completed the EPSO Reserve Academy in 2005, during which time he actively worked in assignments including CJC (Detentions), Patrol, Special Operations (CRU, K-9 and Traffic), and was promoted to the rank of Reserve Sergeant. In 2015, Greg joined the EPSO as a full-time Lieutenant, and was assigned to the Special Operations Group, where he oversaw the EPSO School Resource Officer (SRO) program, Mounted Section, Cadet Program, Rural Enforcement Unit, Chaplain Unit, Reserve Unit, and the Citizen Patrol Section. 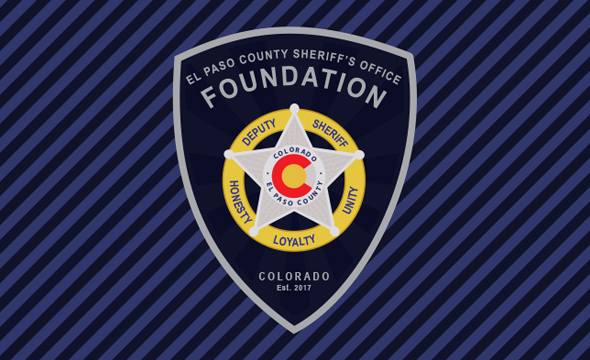 In 2017, Greg founded the El Paso County Sheriff’s Office Foundation, derived from a passion he has for the Sheriff’s Office, and as an avenue to better equip and serve the members of the EPSO, who faithfully serve our community. Greg left full-time Law Enforcement in 2017 to become the Director of Security for the internationally famous Broadmoor Hotel in Colorado Springs. Greg is married, and has three daughters and three grandchildren. He loves the outdoors, and can often be found camping, fishing, and enjoying his family, and remains an active Reserve Lieutenant with the EPSO. 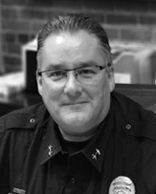 Brian McPike is a long time Colorado resident (born in Denver), and has enjoyed a decades long Law Enforcement career, including assignments in Patrol, Traffic/Motorcycle Units, Accident Investigation, and Special Operations. Brian served as the Chief of Police and Executive Director for the University of Colorado at Colorado Springs until August of 2016. Brian has been a part of the El Paso County Sheriff’s Office Foundation since its inception in 2017, working closely with its Founder, Greg Maxwell. Brian holds a Bachelor’s Degree from the University of Colorado at Colorado Springs, and a Master of Arts in Business and Organizational Security Management. Brian currently serves as the Director of Security for an international faith-based ministry in Colorado Springs, and is married with three amazing children. 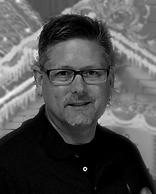 Steve is a graduate of Youngstown State University in Youngstown, Ohio, with a B. S. degree in business. He joined The Greenbrier in 1975. In 1980, Steve left The Greenbrier to join Opryland Hotel, where he spent seven years becoming Resident Manager. Opryland Hotel, at the time, was a 1,100 room facility with 225,000 square feet of meeting and convention space. In September of 1987, Steve returned to The Greenbrier as General Manager at the 6,500 acre, 650-room, Five Star and Five Diamond destination resort. In July of 1991, Steve became President and CEO of The Broadmoor in Colorado Springs, Colorado, a position he held for 24 years. March 1, 2015, Steve was named Chairman of The Broadmoor and its related businesses which include The Ranch at Emerald Valley, Cloud Camp, Seven Falls, The Broadmoor Fishing Camp, The Manitou & Pikes Peak Cog Railway and Broadmoor Development Company. With the acquisition of Sea Island Resort, The Broadmoor –Sea Island Company was formed and Steve was named President, a position he holds today. 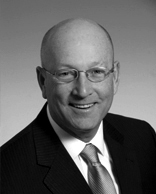 Steve was named 1997 Resort Executive of the Year and 2005 Colorado Hotelier of the Year, and in 2009, he was inducted into the Colorado Lodging Hall of Fame. In 2010, he was named Independent Hotelier of the World by readers of HOTELS Magazine. Colorado Business Magazine named him CEO of the Year in 2013 and in 2018 was inducted into the Colorado Tourism Hall of Fame. He is also in the Youngstown State University Athletic Hall of Fame. Other information – Long time Harley Davidson rider. Drafted by the Detroit Tigers in 1972 and played professional baseball to 1975. The Broadmoor is the longest running recipient of the Forbes Five Star Award and the only hotel to receive the AAA Five Diamond Award every year since its inception in 1977. Sea Island Resort is the only property to receive Four Forbes Five Star awards for nine consecutive years. Commanded two of the Air Force’s premier F-15 fighter wings. Served as executive officer to the Supreme Allied Commander, Europe and Commander, U.S. European Command. Served as the United States Defense Attaché to France and senior US military representative in France. Capped a 33-year Air Force career as commander of the Air Force Operational Test and Evaluation Center. Validated the operational safety, reliability, suitability, and effectiveness of every new system entering the Air Force inventory. Upon retiring from the Air Force, assumed responsibility for transformation of Camber Corp in Colorado Springs, CO and at 20 other locations throughout the US. Was responsible for all Air Force related business development activities as well as Army program interfaces for this $200+ million corporation. Also responsible for division budget development, strategic business development/planning, P&L, cash flow, profit analysis, and projections. 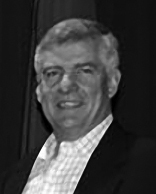 Chairman of Armor Group North America, and International Training Inc Proxy Boards – Direction and leadership over two major security and training providers for security operations in the US and overseas for DoS, DoD, and other agencies. Director on AFBA Bank Board and member of Audit Committee, and Loan Committee in Colorado Springs, CO. Outside Director, and member of compensation committee for T-Kartor USA, a US subsidiary of T-Kartor Sweden. 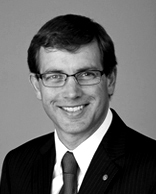 Senior Vice President, Air Force Programs for Burdeshaw Assoc LTD, from July 2009 to July 2013. Executive Account Manager and member Spectrum Group Aug 2013- Present. Executive Manager for Spectrum Group contract with major Defense Contractor. Acquired and manages $2.8 M contract. As Senior VP Air Force Programs at Burdeshaw Associates Ltd, led the company in every measured category. 113% in proposals, 104% in orders, and 109% in actual work performed for 2011. Of the three sectors, profit numbers equaled approximately 50% of company profitability through expansion into new markets, enhancement of efforts with existing customers, efficient management of marketing and indirect expenses, and effective use of direct labor opportunities. Thomas Brattle Gannett “Toby” is the Global Practice Chair, Board and CEO services at N2 Growth, a global consulting firm. He has spent most of his career in commercial real-estate, owning, consulting, developing projects in office, retail, apartment, mixed use, senior housing and health care. Combined, these projects have earned over 30 national, state and local awards. Toby is a graduate of Milton Academy and has earned a BA in History, BA in Philosophy, and a minor in Ancient Studies from Colorado College. He earned an MBA in Health Care Administration at UCCS GSB and completed the LEAD Program in Corporate Innovation at Stanford GSB. He is a graduate of Leadership Pikes Peak and the Colorado Springs Leadership Institute. Gannett is a Board Leadership Fellow and SEI Cyber Certified with the National Association of Corporate Directors. Gannett is a member of the Association for Managers of Innovation and a First Movers Fellow with the Aspen Institute. In addition to serving on the Sheriff’s Foundation board, he is a Commissioner on the Colorado Springs Urban Renewal Authority, and on the Board of Advisors of Kirkpatrick Bank. 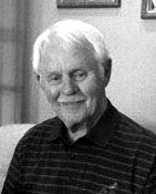 He is past Chairman of the Board of Directors of Pikes Peak Community College Foundation and is a Past Chairman of the Board of Directors of Silver Key Senior Services. He has served as a board member of the Innovations in Aging Collaborative, the Cultural Office of the Pikes Peak Region and the Chamber of Commerce and EDC. Robert Grado is the Chief of Police for the Regional Transportation District (RTD) in Denver Colorado. Chief Grado began his career with the El Paso County Sheriff’s Office in Colorado Springs in 1986 and has served continuously since then. In 2010 he was hired with the RTD Transit Police Division as a Commander in charge of the Emergency Services Bureau and was promoted to the position of Chief of Police in July 2017. RTD encompasses nearly 2400 square miles, operating in 8 counties and 40 cities across the vast Denver Metro Region. Chief Grado is responsible for the coordination and oversight of a complex security model, which is comprised of a team of more than 600 law enforcement & security professionals. Has been qualified as an expert in Federal and District Court in both civil and criminal matters; Served as a Special Master within the 4th Judicial District and has conducted numerous fraud investigations. General Renuart is the Chairman and CEO of the Indiana Innovation Institute, a State supported applied research institute bringing researchers from Purdue, Indiana University and Notre Dame to bear on DoD needs and challenges. General Renuart’s Air Force career culminated as Commander, NORAD and US Northern Command after nearly 39 years of distinguished service. He was responsible for the Homeland Defense and Defense Support to Civilian Authorities for the United States and for partnering in broader security issues for North America. He was responsible for building the interagency cooperation necessary for DoD to partner successfully in support of over 55 government partners and 53 States, Districts, and Territories. General Renuart served as the Director of Strategy, Policy and Planning (J-5) for the Joint Chief’s of Staff and as Senior Military Assistant to both SECDEFs Rumsfeld and Gates. A fighter pilot, the General flew over 60 combat missions in four different US and Coalition combat operations. In 2012, he founded The Renuart Group, LLC, a defense, homeland security, energy, project management, and leadership consulting firm. His principle focus has been to provide strategic advice to international defense corporations as well as develop commercially backed teams creating Public, Private Partnerships designed to assist the DoD in budget-constrained infrastructure requirements. 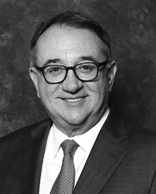 He serves as Corporate Director, The Griffon Corporation; as Chairman, Board of Directors, HAECO Special Services, dba, TIMCO Line Services, LLC; as Director, Capco Incorporated; as Chairman, Memorial Hospital Board and System Director, uchealth. He is a graduate of the Kelley School of Business, Indiana University, and a member of the Dean’s Council at Indiana University’s School of Global and International Studies. Julie is the creative director and co-owner of Axio Design, a boutique graphic design and branding firm based in Colorado Springs. 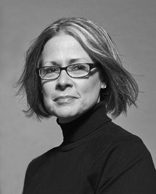 She has been the driving force behind Axio’s foundation of brand worthy creative and client-centered process. Prior to moving to Colorado, she was the director of member services and marketing for a national trade association in Washington, DC, overseeing the research efforts, demographic data mining, conference marketing, and membership development for the organization. Prior to that role, she served as an account executive for a communications and design agency. Her experience in strategic planning for associations and non-profits spans almost three decades. In addition to serving on the EPSO Foundation, Ms. Whitehead also serves as an advisor to the Pikes Peak or Bust Rodeo Board of Directors. She is passionate about giving back to her community.